The Pearl H-830 Hi-Hat Stand is a great value hi-hat stand that features the new Demon style long footboard and double braced legs. 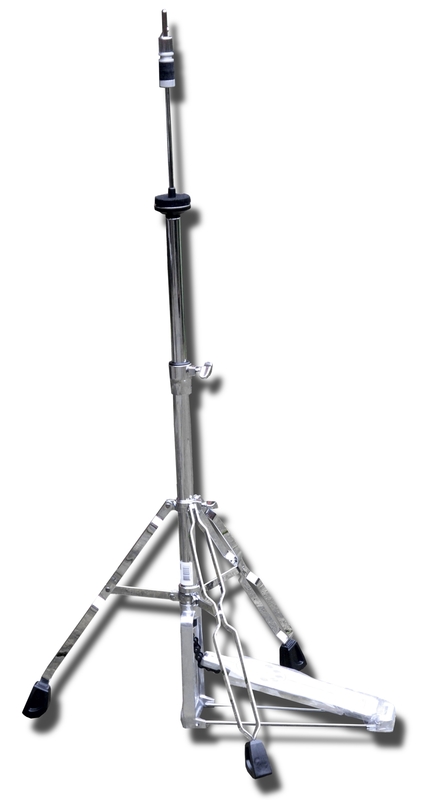 The Pearl H-830 Hi-Hat Stand is a great value hi-hat stand that features the new Demon style long footboard. The H-830 has double braced legs for superb stability whilst still being lightweight and compact. A direct-pull chain drive, non-slip rubber feet, standard clutch and retractable spur for slip-resistance all feature that add to the great appointments of this superb value stand. Hi-Hat stand Demon style long footboard Direct drive chain drive Non slip rubber feet Retractable spur for slip-resistance.